Thank you to Feedback Straps, Shutterbags, EyeFi, and Bay Photo for sponsoring the amazing gifts included in this giveaway. As many of you know, photography is like therapy for me. Capturing a beautiful image to enjoy forever makes me happy. And I always have a new piece of equipment on my wish list. So just in time for the holidays I've put together a list of the most wanted gifts by photographers with items priced from stocking stuffers at less than $10 up to splurgeworthy items. 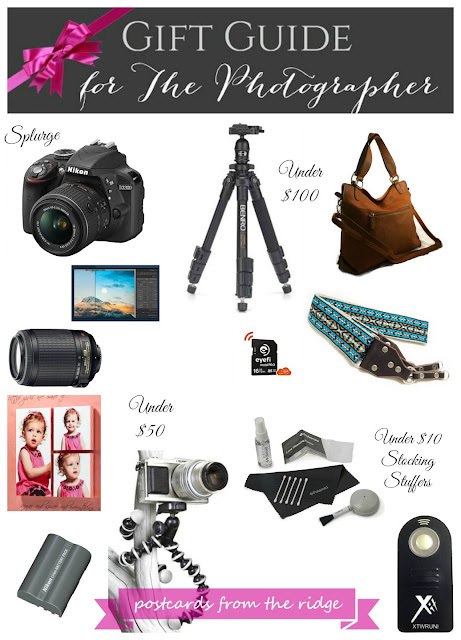 Don't have a photographer on your gift list? No worries. 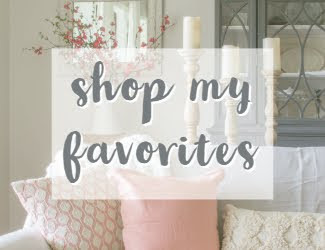 Scroll to the bottom of the post for gift guides and giveaways for 60+ categories. There's something for everyone on your list, for sure. Each one of the bloggers above has made at least one gift guide and is having a giveaway. At the bottom of the post are the categories for the gift guides so be sure to click on the ones the meet your gift needs. Thanks so much to the lovely and talented Jeannette at Snazzy Little Things for coordinating this monumental effort. Drop by and see her here. Now for the photographer's wish list! If your significant other, child, or someone you want to splurge or is just getting into photography, this camera with all of the accessories is perfect. 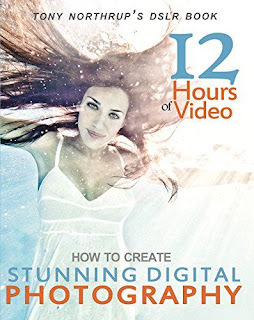 It's a great starter set for anyone who wants to take their photography to the next level or begin to earn income with photography. 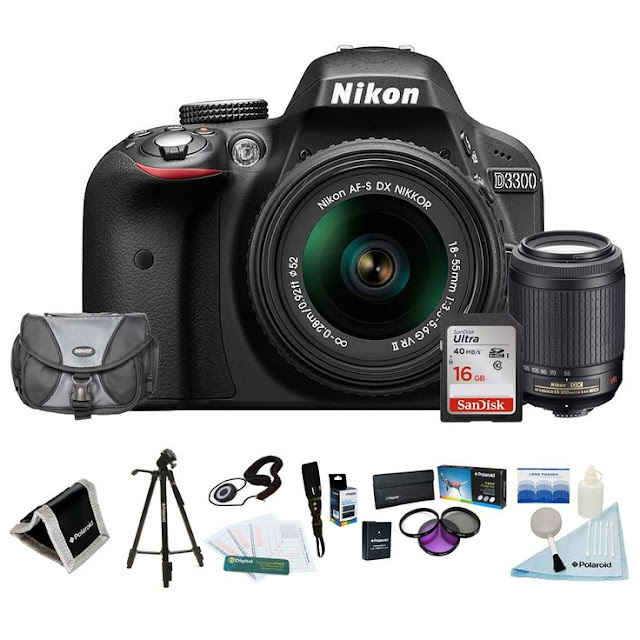 Camera and Accessories (best value) $539. If that special person on your list already has the camera, a new lens is a very welcome gift. This one is a zoom lens and is one that we have for capturing high quality images from a distance. I also have the 35mm that is my favorite for up close and personal shots. My favorite photos recently have been taken with the 35mm. For savvy female photographers, how about a GORGEOUS camera bag from Lynn at Shutter Totes. They all have padded compartments inside that are designed to keep your equipment safe and protected. She has a wonderful selection of stylish camera bags for every taste. Hop over and see all of her stylish camera bags here. To see my full review of the bag shown with the scarf, go here. This little thing is genius. It's a wireless memory card that let's you see your photos on your computer as you shoot them. These are available with various storage capacity and options. It's definitely on my wish list this year. One of the best ways to improve the quality of your photos is by using a tripod. It makes the photos much sharper. This one is the one I have and can shoot from unlimited angles including overhead. IT can be used on most surfaces. For the photographer who is on the go, this backpack camera case is perfect. It's highly rated and comes in several colors. It's sturdy, easy to carry, and keeps your camera and equipment protected. 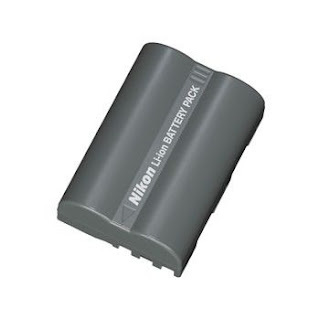 A spare battery can be a lifesaver when shooting lots of photos. You wouldn't want to miss the shot because your camera battery suddenly died. This would fit nicely in a stocking. Sometimes there's no place to set up a regular tripod. Enter the gorilla pod. We have one of these and have wrapped it around trees, poles, and railing to get the perfect shot. It's not for heavy cameras, but will work with point and shoot camera and lightweight DSLR. Not exactly sure what they need? 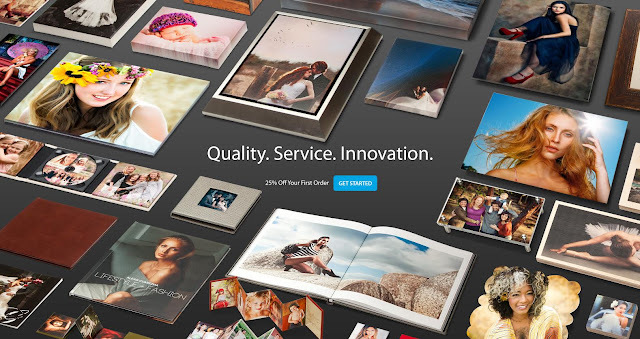 A Bay Photo Lab gift card is something every photographer would love the have. 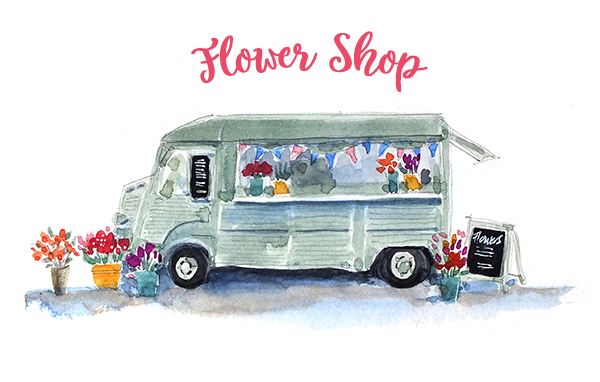 Their services range from high quality photo printing to metal prints to photo books and dozens of other products. They can even make your photos into Christmas ornaments! 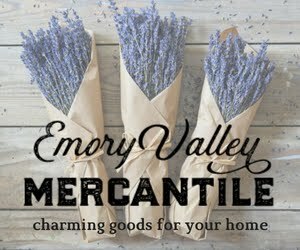 Go here to see everything that they offer. Maybe learning better photography would make a good gift. There are several great courses offered at Digital Photography School. From learning the basics to specialized techniques for portraits, landscape photography and more, there's something for every photographer. 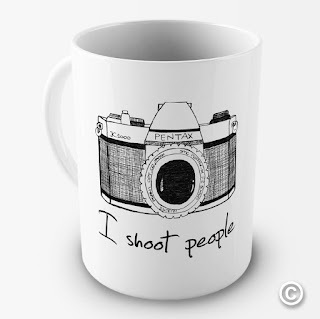 To help stay focused, how about a cup of coffee in this fun mug? 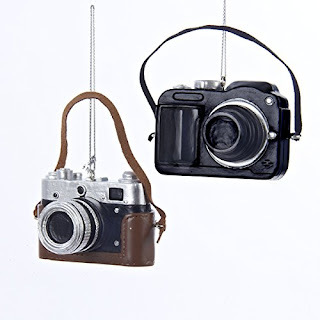 Hang these camera ornaments of the tree for a smile. They're a perfect companion to a camera under the tree. Here's aother fun one. 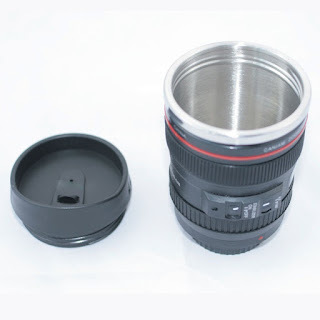 This travel mug looks like a large camera lens. I love it! A fun t shirt always makes a good gift. I love this one and it comes it many colors. A dirty camera doesn't take very good photos. This camera cleaning kit would be a great stocking stuffer. Educational photography books always make good gifts. This one is a best seller on Amazon and is a great price. By far the best way to make your photos look their best is by using photo editing software. 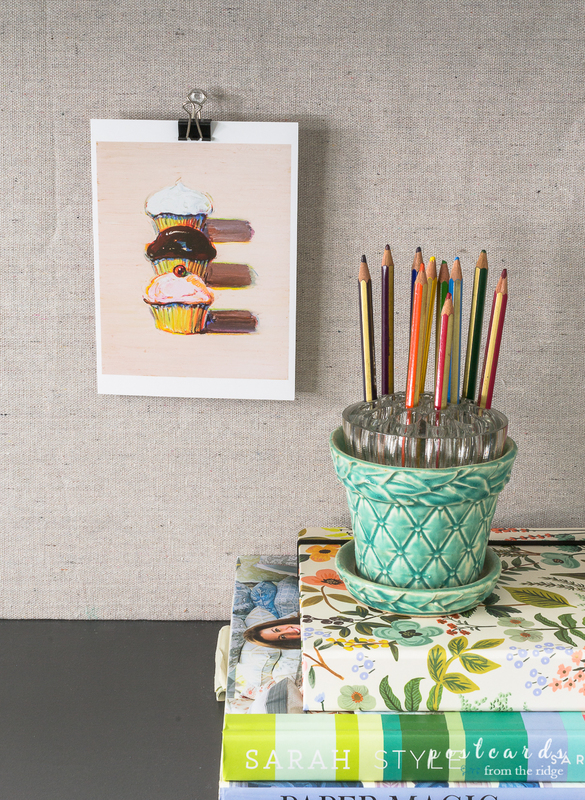 It can enhance nearly every photo and can erase a multitude of unwanted elements. 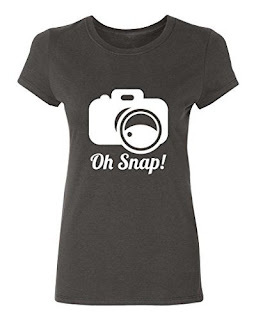 Perfect for anyone who loves to take nature pictures. 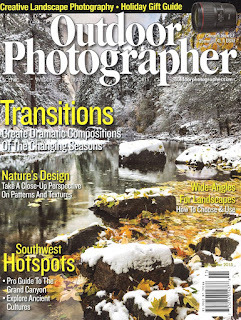 We subscribe to Outdoor Photographer and look forward to reading it each month. It's full of good articles and advice. Every photographer needs their photos hanging on their walls. 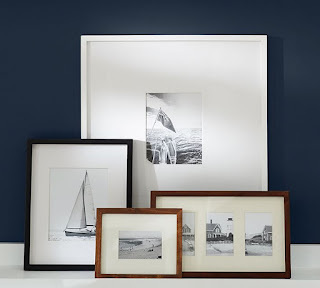 A nice frame would be a great gift for anyone, but especially a photographer. 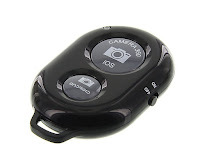 A wireless remote paired with a tripod can produce high quality photos. It reduces even the tiniest vibrations from the camera and makes the photos incredibly clear and sharp. We all use our phones to snap photos and take videos. 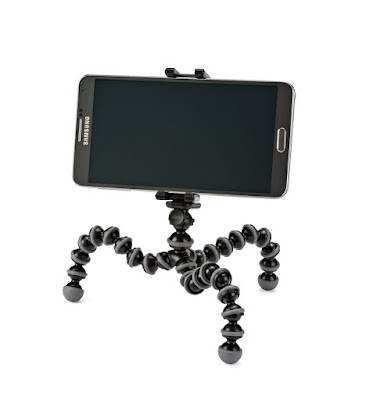 This small gorilla pod for large phones is perfect for hands-free photography and videography. It's great for Periscope too! Go here for tips for capturing a great shot using your phone or camera. A wireless remote for your phone is the perfect companion for the phone tripod. It takes phone photography to the next level, for sure. Do you have some good ideas for the photographer on your list? The recipe for a beautiful Thanksgiving table. 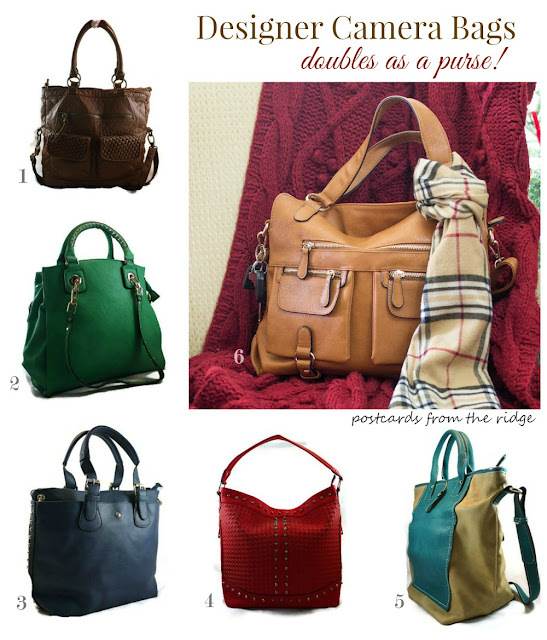 These are fabulous gift ideas for sure and I adore the bag the most. My laptop repairs are at the top of my list! Thank you for the chance to win this great giveaway! That little remote is just the thing I need! A new macro lens is at the top of my list! I want a DSLR camera. I would love to get a new camera... Thanks for the giveaway! I pinned your awesome and thorough gift guide for ya! 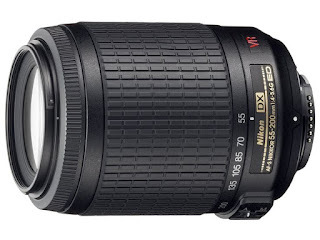 Top of my list is the zoom lens that you showed, and if we purchase it online, I'll definitely use your link! The first thing on my list is a Breville Convection Oven. I've been wanting one for a couple years now. Fantastic gift guide! A new camera tripod and wireless remote are on my gift list this year. Wireless Memory Card? OMG! Game changer!!!! I'm dying to get a camera :) and some new winter boots. I would love to get a telephoto lens for my camera. I would love the Nikon Camera! 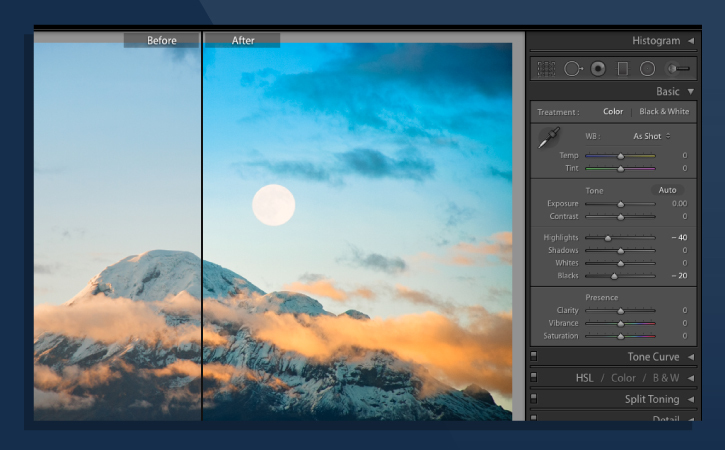 I also have Adobe Photoshop Lightroom on my wish list for Christmas this year. I need new software to enhance my photos. A new camera is definitely at the top of my list!! Love my Nikons. A good strap can make a world of difference. 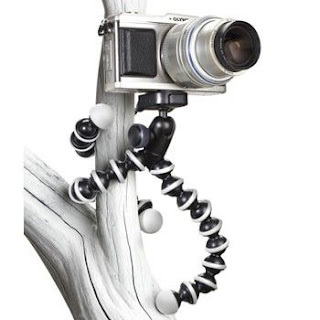 Very cool Gorilla pod. Since seeing these guides my wish list is growing. Sneakers and a new phone are on the top of my list. I would love photography backgrounds this year. This year I would love a new laptop (mine is ancient and slow). Top of my list is a fixed 50mm lens! Its been on my list for a year, I think this is the year to get it! I would love to be able to see my sister that lives in Texas. I have not seen her in a few years. I would love to get a video camera to film all of these special moments of my 3 month old baby boy! I would love to have a Fitbit for Christmas! I think I am going to add the wireless memory card to my list as well! I showed my hubby the tripod. Hope to find one under my tree. Ooooh, that wireless memory card is going to be near the top! A new camera is on the top of my list. Great list! I am intrigued by the wireless memory card. I would like a new camera strap. Great collection Angie! There's several things on this list that I really need. I think I'm going to order my wireless remote right now! Okay those ornaments are adorable! I am hoping for a lighting set for Christmas... too many dark corners to photograph! 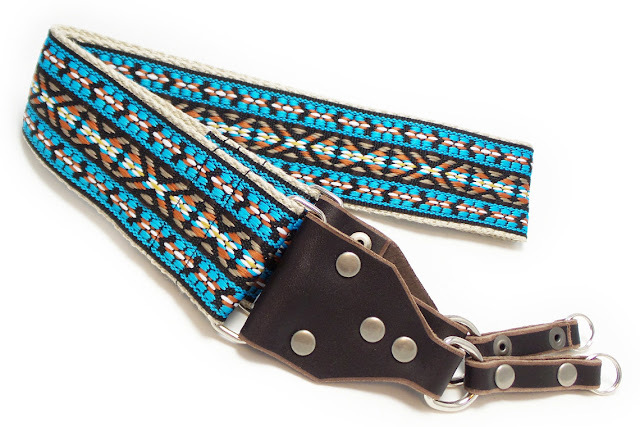 Of course that pretty camera strap would be fabulous too! A camera tripod is at the top of my list. BUT I would also love the coffee mug too. It's so cute! I would love to have a new camera this year. honestly a camera bag! we are going on vacation this year that i want to bring the dslr to and my diy bag has bit the dust. thanks! I badly want and wish for a new camera! We have a move planned and are driving cross country so I would love to photograph the journey! I want a pair of running sneakers. I definitely need a new camera & a new every day bag/tote/messenger bag/backpack (lol) that works for me. Would love a speedlight for my camera! A pair of brown leather riding boots is at the top of my list. Great list! I dabble in photography and love that strap and the bag. On my Christmas list this year is a new wallet and a pair of boots. I got a Nikon for my birthday and now my list includes new things to go with it, mainly a new strap and lense. Fantastic gift list!